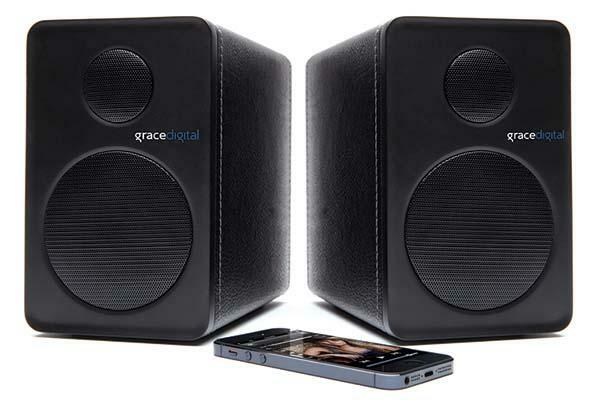 Grace Digital Audio recently released its latest Bookshelf Bluetooth speaker system. Need high-quality audio to feed your picky ears? The wireless speaker system may be able to meet your requirements. The Bookshelf is a premium 2.0 stereo speaker system. As we can see from the images, the stereo speaker system features simple and stylish design, and each speaker unit comes with a 1-inch tweeter drive and a 3.5-inch woofer drive plus high quality CD quality aptX Bluetooth wireless audio in order to deliver you amazing audio with striking accuracy, moreover, the Bluetooth speaker also supports AAC, and in addition to pairing with your smartphone or tablet using Bluetooth, the wireless speaker system also has integrated RCA audio inputs that allow you to connect it with other wired home audio devices like iPods, TV’s and more. Apart from that, the wireless speaker doubles as a USB charger to charge your mobile devices using its built-in USB port. 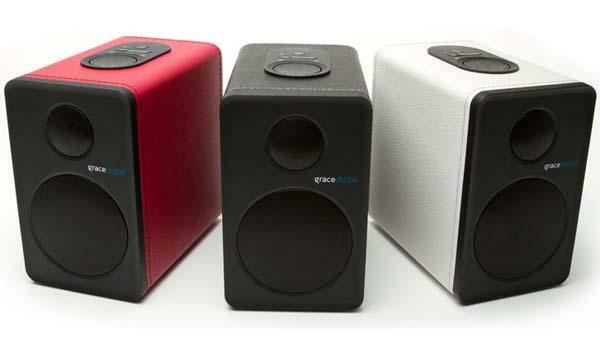 Grace Bookshelf Bluetooth speaker system is priced at $199.99 USD. If you’re interested, jump to Grace Digital official site or Amazon for more details. Additionally, If you need other options you might like to check Disco Twin Bluetooth wireless speaker and more via “wireless speaker” tag.